Coupes, Spyders, V-8s, V-10s, and a bevy of available upgrade packages, equipment options, and personalization services, there's an R8 for everyone--but at the same time, the variety available can make it difficult to get just the right R8 for you. Take your time, and be certain about your tastes and personality when shopping. German precision and handling combines with Italian power to create a superb supercar that's also fit for daily use. The Audi R8 stands alone in its brand: it's a mid-engine supercar amongst a crowd of front-engine luxury sedans and coupes. For the 2014 model year, the R8 gets some enhancements and refinements that help make it the best R8 we've tested. 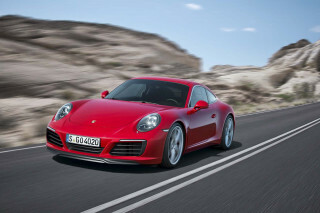 The best change for 2014 is the replacement of the previous S Tronic transmission with a new dual-clutch unit. No longer balky and uncooperative, the R8's dual-clutch is now the preferred gearbox--unless you really want to row your own gears. Nearly sentient in its prediction of downshifts and its steady, rapid upshifts, even skipping gears to respond directly to multiple downshift requests, the new gearbox is now a must-have for all but the purists. For the purists, there's still a six-speed manual. Also new this year is the V10 Plus model, which raises the standard R8 V10's 525 horsepower to a slightly more exhilarating 550 horsepower. That's still not outrageous in these days of 650-plus horsepower muscle cars, but combined with the weight savings over the standard V-10-powered car, the R8 V10 Plus is as nimble as the V-8-powered R8. Together, the extra power and lightness make it a standout performer, particularly when paired with the new dual-clutch transmission. 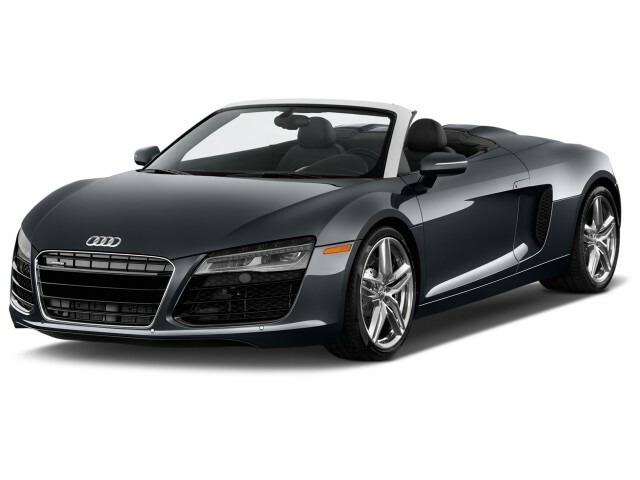 The entry R8 is still a 420-horsepower, 4.2-liter V-8-powered Coupe, paired with a convertible, or Spyder. The 525-horsepower, 5.2-liter V-10 Coupe and Spyder likewise carry into 2014. All 2014 R8s share updated appearance and interior features, mostly minor tweaks, but collectively, a visible refinement of design. Comfort and convenience items in the interior are typically coupe-minimal, but at the same time, more than merely adequate. Audi's MMI navigation with real-time traffic, Bluetooth, and excellent audio cover the expected bases. The seats and space in the cabin will encourage you to enjoy the time you spend there. And though the cargo space is a bit limited, it's still one of the most practical supercars or super sports cars around. The 2014 Audi R8 hasn't yet been crash-tested by the official agencies, but with Audi's full design and specification of a modern safety suite, including dual-stage airbags, knee airbags, head and thorax airbags, stability control, rearview camera, and more to help reduce the effects of an impact. Rated as high as 14/23 mpg city/highway with the 4.2-liter V-8 and dual-clutch transmission, or as low as 12/19 mpg with the 5.2-liter V-10 and manual transmission, the Audi R8 isn't exactly green, even for a car of its performance caliber. The 2014 Audi R8 is every inch the stunning supercar, but its sleek form manages to fly a bit lower than most. Exotic looks, audacious design, dramatic details: the 2014 Audi R8 cuts a figure on any curb. Updates for this year bring a revised gloss black grille (with chrome accents on V-10 models), standard all-LED headlights for all models, and a revised front bumper. Available in two basic body styles: Coupe, and Spyder, the R8 ranges from dressy-classic to sporty-aggressive. The standard V-8-powered coupe is sleek, impressive, and understated in a German way, though it retains its mid-engine supercar silhouette and flair. The taut lines of the front end curve and swell to the wide, sculpted fenders, the characteristic "side blades," and the downward slope of the roof line, converging harmoniously at the rear. The Spyder doesn't hurt the R8's look much, if at all; the soft top fits the profile when up, transforming the car into a much more laid-back yet still-sporty form of transportation with the top down. Upgrade to a V-10 model and you'll get sportier details inside and out, and more aggressive wheels to denote the higher performance. Last year's somewhat bonkers R8 GT model is gone, but in its place we have the far more sane V10 Plus. With only subtle differences marking the Plus out from the standard V-10 model, the extra performance can cut a slightly lower profile. Inside, the R8 is at once no-nonsense and luxurious. For 2014, the R8's interior has undergone an extensive fine tuning--re-shaped gauge needles and subtle chrome or gloss black accents among many tweaks--refining the cabin further.The low cowl and easily-located controls blend seamlessly, with fine, understated materials giving a sporty, refined finish. As you climb the performance ladder, unique elements like shift knobs, gauges, and door handles get more performance-minded in their design, matching their exteriors. Excellent acceleration with all engines, a fantastic new dual-clutch gearbox, and very well-balanced handling come together in the 2014 Audi R8. Marrying Audi's meticulous attention to detail with a high-performance mid-engine layout, the R8 is the pinnacle of the brand's range, and, for some, the Platonic ideal of a supercar. While there's some borrowing from fellow Volkswagen Group brand Lamborghini--under the skin only--a new dual-clutch transmission that Audi says it designed and tuned entirely in-house makes the 2014 R8 better than ever, and in many ways, better than its Italian cousin. 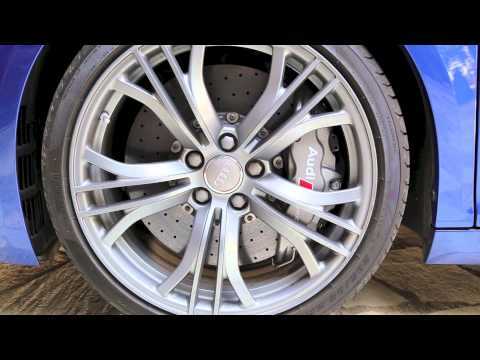 Capable and smooth on the street, without any of the herky-jerky of semi-automatic manuals, the R8's dual-clutch transmission really comes alive in sport mode, especially when done on the track. Seemingly predicting downshifts and delivering seamless power as the gears rise, the R8's new transmission is brilliant. A six-speed manual is still available, of course, and Audi expects to sell a substantial number of them in spite of the dual-clutch's upgrade to the previous automatic. Also carrying forward into the 2014 model year are the R8 and R8 V10 models, in both Coupe and Spyder form. 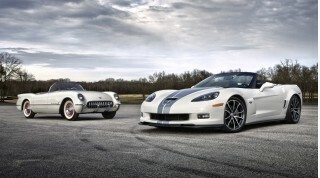 The V-8 engine is lightly revamped, with R8 models getting a 10-horsepower boost to 430-horsepower from the 4.2-liter V-8. 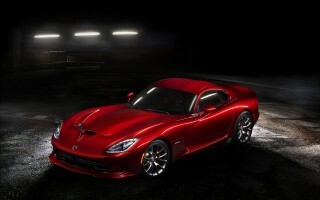 The V-10 engine carries forward with the same 525-horsepower rating from its 5.2-liter V-10 as last year. Both V-8 and V-10 are about a tenth of a second quicker to 60 mph than last year's R8, hitting 60 mph in 4.3 and 3.6 seconds, respectively, but the V-8 lacks some low-end torque, and the V-10 is really only sonorous when wound up well into the tachometer. Not that you'll mind doing so. New for 2014 is the V10 Plus model, which increases power from the 5.2-liter V-10 to 550 horsepower, improving Audi's claimed 0-60 mph time to 3.5 seconds. Top speed is about 197 mph. 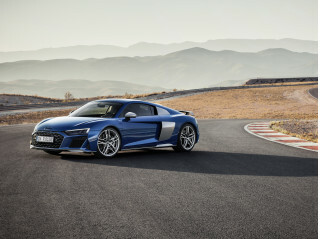 In addition to the extra performance, Audi treats the V10 Plus to some weight loss, shaving 110 pounds from the standard R8 V10 Coupe, tipping the scales at 3,461 pounds--just 22 pounds heavier than the base R8. That, along with the tuned suspension and quattro all-wheel drive, and in S Tronic-equipped models, Audi's expert programming, the V10 Plus is truly capable, and fun, on track. All of Audi's R8s share that innate balance and most of the tuning, and they all feel like it, whether on track or a winding mountain road. Comfortable, well-built, and easy-to-use, the cabin of the Audi R8 makes it useful for more than red carpet arrivals. Despite its obvious emphasis on performance and style, the 2014 Audi R8 has a surprisingly practical side. Getting in and out isn't the easiest, owing to the R8's performance-focused low ride height and low roof, but it's not that hard in comparison to the rest of the supercar class, and once you're in the cabin, it's a comfortable space. Supportive, well-bolstered but not intrusive seats allow long journeys without pain or hot spots, and there's enough leg, shoulder, and head room even for taller or wider occupants. Unlike many sports cars, even among the upper tiers, the Audi R8's steering wheel both tilts and telescopes, helping a wider range of body types to achieve a proper driving position. Controls, displays, and instruments are all clearly marked and simple in their use, though some might notice the backward-scrolling wheel to control the MMI interface, an Audi quirk. Less quirky--in fact, downright business-like, is the rest of the interior, with quality materials, reserved designs, and well-finished details that can be left clean and simple, or customized to your wildest fantasies through the brand's personalization services. Cargo space isn't abundant, with only a small area (enough for a couple of smallish soft-sided bags) under the front "hood" panel, and an available cargo shelf that substitutes for the rear seats. Like many expensive, exclusive, luxury sports cars, the 2014 Audi R8 hasn't been crash tested by either the Insurance Institute for Highway Safety (IIHS) or the National Highway Traffic Safety Administration (NHTSA). Nonetheless, the R8 does benefit from Audi's proven engineering and safety track record on its other cars--and on a full suite of modern safety equipment. Quattro all-wheel drive; dual front, side, and knee airbags; anti-lock brakes; and stability control with sport mode are all standard on all R8s. Side-curtain airbags are not available, however. Available features that can help in driving your R8 safely include parking sensors and a rearview camera. With the car's rather poor rear-three-quarters visibility, having some extra sense of what's behind the car can ease the mind--and prevent an accident. Audi's MMI interface can still be tricky, but it's worth learning the quirks if only to better enjoy the standard Bang & Olufsen audio. Equipped as well as its dressed, the 2014 Audi R8 is well-specified even in base form, but does offer a number of attractive upgrade paths. The standard sport seats are manual-adjust but supportive and comfortable; power-adjustable seats are available on V-8 models, and standard on V-10s. Also standard is a Bang & Olufsen sound system, navigation, and a leather-and-Alcantara-trimmed interior in a choice of colors. The basics are also covered, with standard power windows, locks, and mirrors; keyless entry; automatic climate control; portable music player interface for the audio system; SD storage slots; Bluetooth with a seatbelt-mounted microphone; a USB port; and SiriusXM satellite radio. The new V10 Plus skips the now-standard Bang & Olufsen sound system for weight savings, but it can be added back in as an option. Upgrades to the interior are conveniently packaged to start, then essentially limitless through Audi's personalization services. A convenience package includes Audi's "parking system plus" with rearview camera, hill-hold assist, and power-folding, auto-dimming, power-adjustable, and heated side mirrors. For the performance-minded, carbon ceramic brakes can be added, while style fiends will find a selection of 19-inch wheels, carbon fiber accents, and sideblade treatments to help differentiate their car from other R8s. The V-10s get most of the V-8's optional features as standard equipment, with the main upgrades being all-leather upholstery, different wheels, more carbon fiber trim, and carbon-ceramic brakes. Audi's proprietary MMI infotainment interface offers a lot of rich functionality, but takes some time to learn. The 2014 Audi R8 isn't the most efficient of cars--or even of supercars--but the payoff is its serious performance capabilities. 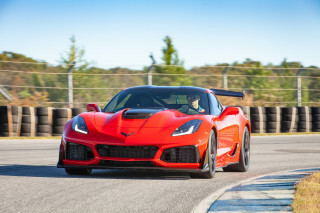 Opting for the new dual-clutch transmission gains as much as 3 mpg city and highway over the alternative six-speed manual gearbox, but that still leaves the R8 trailing significantly behind greener high-performance cars like the Chevrolet Corvette. Fortunately for convertible fans, there's no gas mileage penalty for picking the Spyder over the coupe; both models score the same across all engine and transmission combinations.